This Ontario region starts with Windsor, heading south past Point Pelee and then northeast toward Dresden. Ontario's Black Heritage Route celebrates the history of The Underground Railroad, which was an informal network of secret routes and safe houses used by slaves in the 1800s to escape slave states in the US. Although disputed, there's an estimate that Canada took in about 30,000 people via this route. For more information, the North American Black Historical Museum in Amherstburg can satisfy your historical curiosity. Pelee Island is worth the visit because of its micro climate. It is a 34 km (21 mi.) ferry ride on south from Leamington or Kingsville on Lake Erie and is Canada's most southern point. It also is on the route of two bird migration routes, has rare land animals, and a winery. Black Heritage Route accommodations include hotels, motels, resorts, bed and breakfasts and campgrounds. Our Amherstburg bed and breakfast is within walking distance of many restaurants, parks, attractions and canoeing on the Detroit River. Enjoy a beautiful century home with a grand "Painted Lady" exterior. Enjoy a romantic, relaxing and inviting atmosphere in a tranquil riverside setting. Our Amherstburg bed and breakfast features a furnished terrace, free WiFi and a daily full breakfast. Free parking is available on site. All the guest rooms are tastefully decorated and overlook the well-tended gardens. Each has a private bathroom with shower. There is free parking on the premises. It is 5 km from the town centre, Amherstburg Navy Yard Park and Fort Malden National Historic Site. This Windsor, ON motel features unique guest rooms with murals, free Wi-Fi, cable TV and microwave/refrigerator. Pet friendly and equipped with barbeque facilities and a picnic area. Free parking and 24-hour reception available. A 13-minute drive from Windsor Airport and within a 12-minute drive of Art Gallery of Windsor and University of Windsor. Surrounded by shopping, casinos and entertainment venues, this Windsor Ontario hotel provides guests with friendly services such as a free hot breakfast buffet every morning. The hotel features an indoor saltwater pool, whirlpool tub and an exercise room. After working in the business centre, guests can relax in their room in the comfortable Cloud Nine bed. Each contemporary guest room at hotel in Windsor is equipped with a flat-screen cable TV. A coffee maker and work desk are also provided. Guests can relax on the seasonal sun deck. Laundry and dry cleaning services are available. This Bed & Breakfast is a Georgian Manor built in 1923 is in the heart of historic Walkerville area of Windsor. Four individually decorated rooms, provided with free Wi-Fi, cable TV, and free made-to-order gourmet breakfast. The suites feature a fireplace and fridge. Non-guests may be invited for breakfast for an additional $10.00 and advance arrangements. Our Windor Ontario hotel is at the edge of the beautiful riverfront within steps of the neighborhood’s diverse cuisine, vibrant nightlife and scenic, waterfront parks. A large, saltwater indoor pool, pet-friendly accommodations with mini-refrigerators, fitness center and business services create a welcoming retreat for executives and urban explorers alike. Our Windsor Ontario hotel is minutes from the Casino Windsor, the Windsor Raceway and downtown Windsor. We are minutes from all major transportation, including the Detroit-Windsor Tunnel, Ambassador Bridge, the VIA Rail Canada station, Highway 401, the Windsor Airport and the Detroit Metro Airport. We are located downtown, and is within walking distance of Caesars Windsor casino, the Art Gallery of Windsor and the Chrysler Theatre. This Windsor, Canada hotel is also close to University of Windsor and international border crossings to Detroit. We are located within walking distance of the Windsor Arena, the Art Gallery of Windsor and the Casino Windsor. This Windsor hotel is minutes from the University of Windsor, Joe Louis Arena and Windsor Raceway. This Motel in Windsor has been your affordable and relaxing motel for many years. The rooms have all been recently upgraded, offering a clean and peaceful place to lay your head. We’re family owned and operated. The rooms include cable TV, fridges, microwave and smoking and non-smoking rooms. Free Wi-Fi internet. 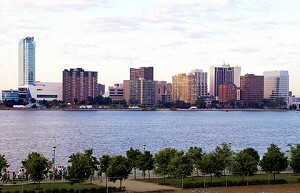 Radisson Riverfront Hotel Windsor is the perfect choice when visiting the Windsor/Detroit area. Located on the Detroit River, in the heart of downtown Windsor, offering stunning views of the Detroit River and skyline. At our Windsor Ontario Inn, you wil find our large double guest rooms a great value. We include a complimentary light continental breakfast for all of our guests and our clean, spacious rooms include wireless internet access and cable TV. Plenty of free parking. Guest operated coin laundry. Jacuzzi suites. Experience Canada's South Coast! The Quality Excellence Award Winning Holiday Inn Select Windsor Hotel, welcomes you to our premier Hotel nestled in the suburbs of Windsor, Ontario, which is commonly referred to as the Gateway to Canada and Ford City. When you stay at the newly renovated Holiday Inn Select Windsor Hotel, you can rest assured that we'll provide all of the extras that you need. At this hotel in Windsor guests can stay connected with complimentary Internet access in all guest rooms and public areas. Corporate travelers will appreciate the business center and meeting room. The 49 spacious guest rooms and suites welcome guests with amenities including microwave, mini-fridge, coffeemaker and cable TV. Guests can enjoy complimentary daily continental breakfast and coffee. The newly renovated Windsor hotel is minutes from the Ambassador Bridge that connects Windsor with Detroit. Conveniently located near many local points of interest, this Windsor, hotel is close to area attractions including the Windsor Raceway Slots casino, and the Windsor Crossings Outlet Mall, featuring dozens of retailers, entertainment venues and dining options. Our Windsor Ontario hotel is conveniently located near Highway 401. We are near Caesars Windsor Casino with free, large-vehicle parking. In the morning, get going with free Rise & Dine continental breakfast. Our pet-friendly hotel offers free Wi-Fi Internet access in all rooms, and kitchenette and Jacuzzi suites are available. Kids 17 and under stay free with an adult. Our Windsor Ontario Residence & Conference Centre is conveniently located off Highway 401 and is your first stop for affordable accommodations. We are close to shopping and many other major attractions such as Windsor Crossings Mall, Caesars Windsor, and only 8 km from Detroit. Our spacious 2 bedroom suite features double beds, private kitchenette and three-piece bathroom. This Windsor hotel defines modern luxury in timeless elegance. Step inside these spectacular accommodations to discover the essence of indulgence, comfort and luxury. Masterfully-appointed guestrooms and suites in downtown include 758 rooms in two towers overlooking the artistically manicured riverfront trails. We are conveniently located with easy access to Highway 401 and other key in and around Windsor, including the world famous Windsor Casino, Colasanti Gardens, Windsor Raceway and the University of Windsor. Hotel guests will appreciate the full-service restaurant onsite and the Windsor Crossings Outlet Mall a few km away. This Windsor motel is just 5 km from Casino Windsor. It offers a seasonal outdoor pool Guest rooms offer free Wi-Fi. A cable TV and a small seating area are provided in every room at Cadillac Inn. Rooms feature warm colors and include a work desk and telephone with free local calls. Guest laundry services and on-site barbecue grills for guest use. The Travelodge Downtown Windsor is recognized as Windsor's Best Value Riverfront Hotel, located in the heart of Downtown Windsor. This adult-only bed and breakfast in Windsor, Ontario features a Jacuzzi. Each room includes cable TV and free Wi-Fi and this property is 4 kilometers from Caesars Windsor Casino. Breakfast is available at the Ye Olde Walkerville Bed & Breakfast. Guests will start their meal with fruit, followed by a choice of light, vegan, sweet or hearty dishes. This hotel in Windsor, conveniently located. Enjoy such amenities as free WiFi, an exercise room, a business center, guest laundry facilities and more. Your guest room includes a refrigerator, desk, TV, hair dryer and an iron and ironing board. This Windsor Ontario motel is a 10-minute drive from Caesars Windsor Casino. It offers a 24-hour front desk and free Wi-Fi access for all guests. Rooms include a full kitchenette. Cable TV is provided in every room as well as a seating area with a sofa. Free light breakfast from 7 AM to 10 AM.